Chelated copper liquid kills algae on contact. Great for use in ponds, lakes, and reservoirs for treating planktonic (free floating) and filamentous (stringy) algae. Can even be used in potable water supplies. 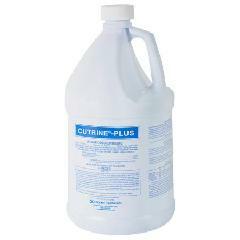 Cutrine Plus Granular is a convenient and ready-to-use copper complex formula to treat subsurface algae. Great for use in ponds, lakes and reservoirs. Use on Chara, Hydrilla, and bottom filamentous algae. A simple copper compound and broad spectrum controller of planktonic and filamentous algae. Kills any algae it comes into contact with. Application rates vary based on targeted algae. Total lake muck treatment. 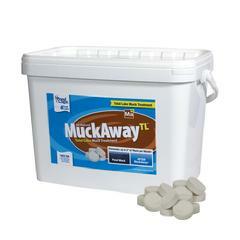 Treat your entire lake or pond and eliminate pond muck. Consumes up to 2" of muck per month. Natural lake clarifier. Removes excess nutrients, noxious odors & is safe for all aquatic & domestic life. 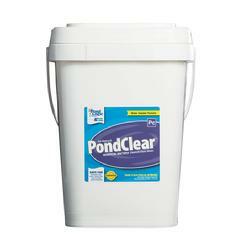 Keeps ponds clean and clear all season. Located just north of Lincoln!